I was never a part of Komla Dumor’s inner circle. He never called me out for a drink. And he didn’t share any secrets with me. I am just one of those guys who enjoyed the privilege of working with him. That was more than I could ever ask for. I wasn’t with him at the beginning. I couldn’t have been with him at the end. But in between, our paths crossed and that’s how I get to call him a friend. A blessed friend. A friend endowed with so much talent that whenever I heard his voice I couldn’t help but marvel at how one man could get so much. Komla dedicated his life to learning – learning about everything and anything. And therein lies his other endowment: his brain. It was the sharpest brain on Ghanaian radio. It was a brain filled with all sorts of stuff. Stuff ranging from the Baroque harmonics of J.S. Bach to the ghetto rhymes of Tupac Shakur. And there was a lot of room in that brain for religious texts, political philosophy, economic theorems and any sort of knowledge worthy to be kept in a man’s head. He knew about the wisest philosophers, the most radical revolutionaries and the most villainous of criminals. He knew stuff. And he thought about a lot of stuff. Komla was a great thinker. His was a well-lubricated mind. Very few succeeded in bamboozling him with the sort of arcane details that would push a sluggish mind into a daze. On his worst days, he was better than the best of the rest of us. And when he started appearing on BBC TV, the world got to see even more of his natural endowments – his grand physique, his handsome face and his broad, bright smile. 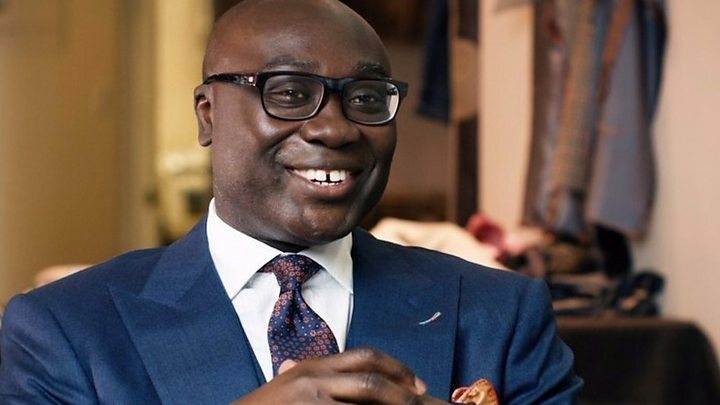 Komla Dumor was a bundle of talents. He had style and he had more than enough substance to back it up. He was a gifted man who offered himself as a gift to many, speaking for the voiceless and speaking out against injustice, corruption and incompetence. He was many things to many different people. He was more than a broadcaster. He was a preacher. A motivator. A pick-me-upper. A counsellor. A watchdog. A shoulder to cry on. A confidant. An object of infatuation. A style icon. The ideal man. The list is endless and that is how he became a man of the people. A superstar. He probably was the only Ghanaian worthy enough to be called a celebrity. He was the one true broadcaster. The rest of us were all pretenders, happy to be dancing in his shadows for none of us had half of Komla’s endowments. He was the doyen of the modern era of Ghanaian broadcasting. Don’t tell me God knows best, unless you know exactly what God knows. Don’t tell me Komla is in a better place, unless you know where that place is. And don’t tell me death is a part of life, unless you can prove to me that death did not end Komla’s life. What you know and what you should tell me is that Komla is irreplaceable. Tell me that there will never be another like him – at least not in my lifetime. Tell me that for all the excellent work he did, he will stay in our hearts and minds for as long as we continue to breath. And then tell me that the best way to honour Komla Dumor is to ceaselessly strive to be better. Above all else, promise yourself that you will postpone nothing; that you will never put anything off until some other time. This life is much shorter than it appears. Komla rests. And, with a heart filled with anguish and pain, I grieve the loss of the most talented man I could ever call a friend.